Luis Alfonso Saez Torrens...ranked by MLB.com as the No. 6 prospect for the 2012 international signing period. Spent the season with Lake Elsinore (A), slashing .280/.320/.406 and setting career highs in hits (133), 2B (36), HR (six), RBI (73), runs scored (62), AVG, OBP, SLG and OPS (.727)...Appeared in a career-high 85 games behind the plate and started 84 of them...played 1B on three occasions (all starts), his first time playing a position other than catcher in his professional career...Led the team in doubles (36), RBI (73) and sac flies (eight), ranked second in hits (133), third in runs scored (62) and sixth in average (.280)... Hit .299 (43-for-144) with RISP, driving in 62 RBI with 10 2B, one 3B and two HR in such situations...Accrued a career-high four hits on three occasions (5/19, 7/25 and 8/8) and had a career-high four RBI on two occasions (4/22 and 8/8)...Following the season, played for the Navegantes del Magallanes in the Venezuelan Winter League and hit .325 with six doubles and 15 RBI in 26 games. Selected by CIN from NYY in the first round (second overall) of the Rule 5 draft...acquired by SD from CIN for PTBNL and cash considerations and spent the entire season in San Diego...Caught 310.2 innings this season and 25 complete games... made only two errors over the course of the season, owning a .993 fielding percentage...Made his MLB debut on 4/3 at LAD and his first career start on 4/10 at COL...he appeared in a total of 56 games, making 31 starts behind the plate...Collected his first ML hit on 4/18 vs. ARI, a single off of Tom Wilhelmsen...Logged two multi-hit games (5/24 at NYM and 6/20 at CHC)...hit his first career double on 5/24...Hit a bases-clearing triple for the first career three-bagger on 7/26 vs. NYM...set a career-high three RBI in the game, and it was his sole multi-RBI game of the season...his triple was his first and only hit with the bases loaded...Hit safely in five of six games from 6/11-21, batting .353 (6-for-17) with a double and an RBI...Had a career-high three-game hitting streak from 6/19-21, going 4-for-8 (.500) in that time...also set his career high on-base streak at six games from 6/11-21...His 25 total bases were the sixth-most among rookie NL catchers...Following the season, played for the Navegantes del Magallanes of the Venezuelan Winter League and hit .275 (39-for-142) with eight doubles, one triple, one home run, 18 RBI and 17 runs scored in 38 games. Split the season between Single-A Staten Island and Single-A Charleston...hit a combined .250 (46-for-184) with 10 doubles, two home runs, 15 RBI and 15 runs scored...Started the season with Staten Island and hit .311 (14-for-50) in 12 games before being assigned to Charleston 7/11...Hit .170 (18-for-106) through his first 30 games for Charleston...finished the season hitting safely in 10 of his final 12 games, batting .349 (15-for-43) with five doubles, one home run, four RBI, five runs scored and seven walks...Started 39 games (40 appearances) behind the plate for Charleston, posting a .990 fielding percentage (four errors in 389 total chances)...Tossed out 22 of 53 attempted base stealers (41.5%) for Charleston. Missed the entire season due to a torn labrum in his shoulder. Split the season between Staten Island (A), Charleston (A) and the GCL Yankees (R), hitting a combined .256 (58-for-227) with 14 doubles, three triples, three home runs 22 RBI and 32 runs scored in 62 games...Started a combined 52 games behind the plate, posting a .994 fielding percentage (three errors in 483 total chances)...While with Staten Island, batted .388 (33-for-85) during a 21-game hitting streak from 6/28 -7/26 and reached base safely in 28 consecutive games from 6/28-8/4...Earned New York-Pennsylvania League Mid-Season All-Star honors...Following the season, was ranked the ninth-best Yankees prospect by Baseball America. Made his professional debut for the GCL Yankees (R) and hit .241 (42-for-174) with seven doubles, one home run, 14 RBI and 17 runs scored in 47 games...Started 32 games behind the plate, posting a .993 fielding percentage (two errors in 279 total chances). Inbox: What are Padres' plans at shortstop? 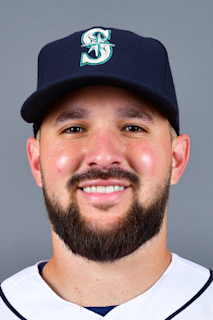 November 13, 2018 C Luis Torrens assigned to Navegantes del Magallanes. October 2, 2018 San Diego Padres recalled C Luis Torrens from El Paso Chihuahuas. September 7, 2018 C Luis Torrens assigned to El Paso Chihuahuas from Lake Elsinore Storm. March 28, 2018 C Luis Torrens assigned to Lake Elsinore Storm from El Paso Chihuahuas. March 14, 2018 San Diego Padres optioned C Luis Torrens to El Paso Chihuahuas. October 10, 2017 C Luis Torrens assigned to Navegantes del Magallanes. December 8, 2016 Cincinnati Reds claimed C Luis Torrens off waivers from New York Yankees. December 8, 2016 Cincinnati Reds traded C Luis Torrens to San Diego Padres. July 11, 2016 C Luis Torrens assigned to Charleston RiverDogs from Staten Island Yankees. June 17, 2016 C Luis Torrens assigned to Staten Island Yankees from Charleston RiverDogs. April 7, 2016 Charleston RiverDogs placed C Luis Torrens on the 7-day disabled list. September 28, 2015 Charleston RiverDogs activated C Luis Torrens from the 60-day disabled list. September 18, 2015 C Luis Torrens assigned to Navegantes del Magallanes. April 9, 2015 C Luis Torrens assigned to Charleston RiverDogs from Staten Island Yankees. July 10, 2014 C Luis Torrens assigned to Staten Island Yankees from Charleston RiverDogs. June 26, 2014 Charleston RiverDogs sent C Luis Torrens on a rehab assignment to Staten Island Yankees. June 20, 2014 Charleston RiverDogs sent C Luis Torrens on a rehab assignment to GCL Yankees1. June 9, 2014 C Luis Torrens assigned to Charleston RiverDogs from Staten Island Yankees. June 9, 2014 Charleston RiverDogs placed C Luis Torrens on the 7-day disabled list. April 16, 2014 C Luis Torrens assigned to Staten Island Yankees from Charleston RiverDogs. March 31, 2014 C Luis Torrens assigned to Charleston RiverDogs from GCL Yankees2. June 21, 2013 C Luis Torrens assigned to GCL Yankees2. June 20, 2013 New York Yankees signed free agent C Luis Torrens to a minor league contract.